If you're after notepaper in a funky and unique style, you'll love our personalised memo and twister cubes. We produce these eye-catching note options in Australia and print them locally to meet your requirements using offset or digital full-colour printing. When your recipients need note paper that goes above, and beyond a standard sticky note set, our memo cubes and twister cubes are a great option that won't break the bank. Each contains a substantial number of individual note pages featuring your design in a towering or swirled style. 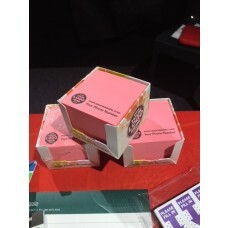 Your logo will draw the attention of all those who see it with these fantastic memo paper cubes. We highly recommend promotional sticky note cubes, because it offers you a huge amount of on-going promotional marketing exposure. A post-it sticky note cube has so many pages that it will last at least a year for a guest to use. In fact, we have know guests to have used a sticky post-it cube for over a three-year period. 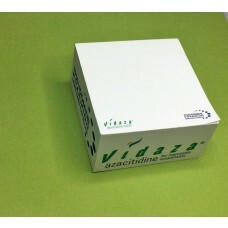 An option for shrink wrapping at a low price per unit is available for sticky note cubes. A transparent plastic film will cover the entire note cube to provide protection from water damage as well as physical damage to the post-it sticky note cube. The turnaround time for sticky note cubes personalised with your graphics is two weeks from the date of purchasing. 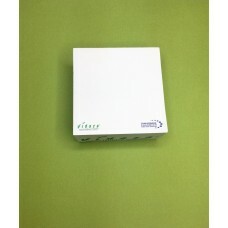 If you desire the Post-It note brand of sticky note cubes, this is available with a turnaround time of 6 weeks. 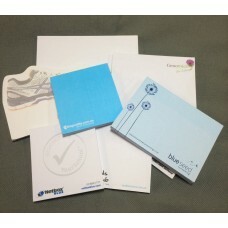 If you were needing a larger surface to write on, please see our custom printed notepads.